Found 5 file extension associations related to Creo View Lite (ProductView) and 4 file formats developed specifically for use with Creo View Lite (ProductView). 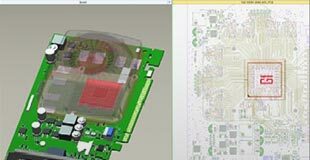 ProductView (Creo View Lite, Creo View ECAD) breaks down barriers to effective distribution of digital product data by providing all users with simple access to 3D models, drawings and images. Seamlessly integrated into Windchill, ProductView (Creo View, Creo View ECAD) makes visual collaboration easy for everyone. Marketing, management, sales and all other non-engineering users can now, with a single click, get instant access to rich digital product data. All product stakeholders can review and provide feedback without access to the application that created the data. A browser plug-in automatically installs and administers itself the first time it's needed. With its compact, yet accurate 3D viewable format, complex information can be quickly accessed to reduce rework and improve decision-making. If you need more information please contact the developers of Creo View Lite (ProductView) (Parametric Technology Corporation), or check out their product website.